Classic Shaker Co. vintage art deco flasks. Just the right size for a rumble seat or sporting event. 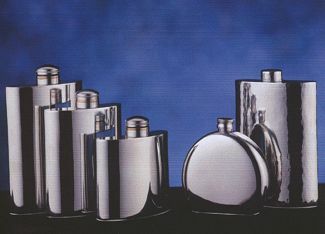 The sleek elegance of our Classic Flasks again reflect the early twentieth century in design and lifestyle. Celebrate the elegance of the 1920s and 30's with a limited edition flask. Classic Shakers are crafted in hand in the U.S.A. Engraving available.